We hear this all the time from businesses that predate the digital revolution. Construction, manufacturing, healthcare, distributors executives–because they are in old-school B2B industries, they don’t think that their customers are searching online for solutions to their business challenges or using mobile devices in the business decision-making process. If this describes you, you’re likely losing business to competitors that are using digital marketing. Google says that 89 percent of B2B buyers research online before contacting a supplier. And 50 percent of B2B searches are done on mobile devices. On average, B2B buyers make 12 searches before contacting a supplier. If you’re not involved in that conversation, engaging customers and answering their questions, attracting them to your website, and offering helpful content, you are opting out of 89 percent of your target audience. We get it. Leaders of older businesses that predate the digital era may indeed not yet “shop” online for books, shoes, and cars. And of course, many B2B businesses, especially those with big-ticket products and long sales cycles don’t sell products directly online. But nearly every buyer in every category researches online because it is the most convenient way to do your homework, and it’s also becoming the primary channel for B2B lead generation. A lot of marketing leaders in old-school B2B businesses are intimidated by digital lead generation because they don’t think they can adopt it. In reality, it’s not that complicated. The marketing tactics haven’t changed as much as the channels have changed. For example, direct email has replaced direct mail as the communication channel of choice; and digital advertising has replaced print and broadcast advertising as the advertising channel of choice. Here’s a quick way to get started with digital lead generation: use your existing contact list to email your audience. Many companies resist this because they associate all email with SPAM. “I don’t want to annoy my customers,” they often say. But your existing contact database is a gold mine waiting to make you rich. The reality we’ve found is that most of your contacts want to hear from you. They know you. Many or all of them are customers. They want to know what’s new. They want to stay informed about the latest developments in the industry. They’re also your best source of new leads. One study found that 82 percent of businesses get referrals from existing customers. Your customers are much more likely to refer others to you when they are aware of your services. Also, unsolicited email isn’t automatically classified as SPAM, as we explain in this blog post. One of our clients, a maker of industrial lasers, started an email newsletter. It wasn’t hard. We opened a free MailChimp account and sent an email inviting people to subscribe (opt-in) to the newsletter. The first email went to 2,000 contacts. In a few months, they had 6,000 contacts. We got thank-you notes from customers that were grateful for the information! Why are blogs popular? Because in most B2B businesses, leaders are highly motivated to keep up with new developments in their industries. Blog articles that educate subscribers are helpful because instead of attending a presentation or conduct their own research, the information comes to their inboxes. People will subscribe and, voila, more leads. Digital advertising can be the most cost-effective way to expand your audience to get leads outside your current database. The targeting capabilities are powerful. You can choose the industry, company, job title, location, age, interests, group memberships, and more. It’s cost effective because you’re only paying for ads for a very specific set of people, rather than the “spray and pray” approach of traditional print and broadcast advertising. Here is where there isn’t really a traditional marketing equivalent for comparison. Social networks are relatively new. If they resemble a traditional channel, it might be trade associations. 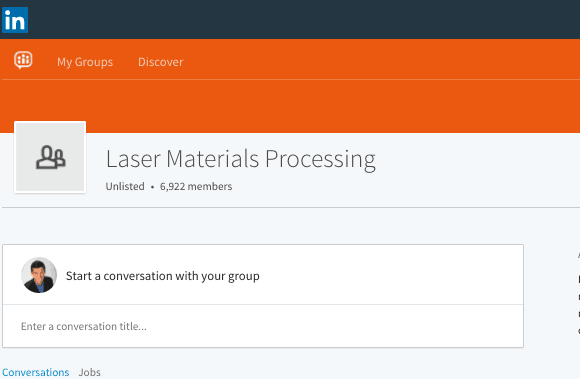 LinkedIn, for example, has groups around just about everything you can imagine (yes, there are groups for industrial lasers). You can advertise to these groups, or you can simply join and participate in conversations to build credibility and trust. Check out this article about why we love LinkedIn groups for lead generation. SEO also has no real traditional marketing equivalent. The search engine has changed the way people buy just about everything. If you have a website (if you don’t, we need to talk), it needs to be optimized for search. That’s how your site and your content will get found by the 89 percent of B2B buyers searching for solutions to their business problems. SEO involves using the language that people use when searching for the types of products you offer and problems your products help solve. You create content around these “keywords” that search engines pick up when deciding what pages to deliver for online searches. If your pages are delivered, you’re likely to get more visits that you can, in turn, convert to new leads. Most website development platforms have built-in templates that make SEO relatively easy. It’s important to follow SEO best practices as Google and other search engines continually refine how they decide what pages to display. What works today may be penalized tomorrow. For example, it used to be a best practice to repeat a keyword over and over on a web page. Google would see that as a signal that the page was super-relevant to that topic. So many businesses gamed the system with nonsensical keyword-stuffed pages that Google now penalizes pages with overly repetitive content. All of these channels–email, blogs, advertisements, SEO and social posts– can link to landing pages where people can give you their contact information to request more information. That’s how you get new leads. A landing page is basically a web page with a signup form that people can fill out to enter their contact information. You can offer more educational content, a subscription to your email newsletter or blog, or a meeting or consultation with a salesperson. Many website development platforms like WordPress have free form plugins, and email platforms like MailChimp offer forms as well. Landing pages are easy ways to build your contact list and assess the level of interest, e.g., qualify, the people that are interacting with your business online. One of the great benefits of digital marketing is its measurability. Almost everything you do online can be measured–social media followers, website visits, email opens, forms filled, ads clicked. Google Analytics is a standard tool that every website should use. It’s free and it helps you track important metrics like website visits, sources of traffic, specific pages visited, and much more. Most email platforms have their own analytics features that track opens and clicks. Advertising platforms also have analytics that report views and clicks. 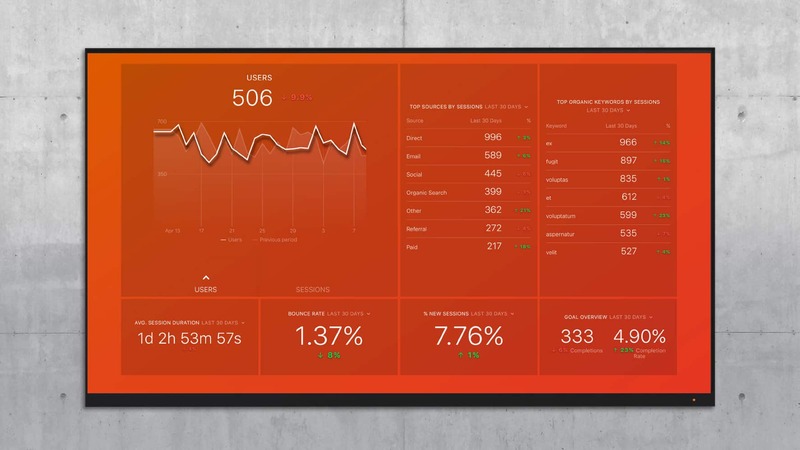 Platforms like Databox allow you to pull all of your analytics into a single dashboard, making it much easier to view all of your metrics in one place, and to understand how various marketing channels are working together. You can use a pre-made dashboard template to instantly begin analyzing your data from services like HubSpot and Google Analytics. Here is an example of a website traffic dashboard that you can start using for free. When properly implemented, digital lead generation creates a virtual salesperson, with channels like email, SEO, advertising and social networking driving people to your website landing pages, where you can field inquiries and guide people to the next step in the sales process, and deliver great reports so you always know what’s working and what isn’t. It allows you to expand and optimize your lead generation. Digital lead generation also makes it possible to deliver the personalized, automated experience that customers increasingly expect. If they aren’t able to quickly find and communicate with you online, they’ll likely go where they can. Alaniz Marketing specializes in helping businesses embrace and thrive with digital marketing, whether transitioning from a traditional marketing strategy or starting a business from scratch. Bill Peatman Bill is a senior content strategist at Alaniz Marketing. 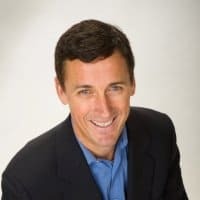 He helps B2B companies create great marketing strategies--and the content to support them--that build brand awareness and grow traffic, leads and sales.